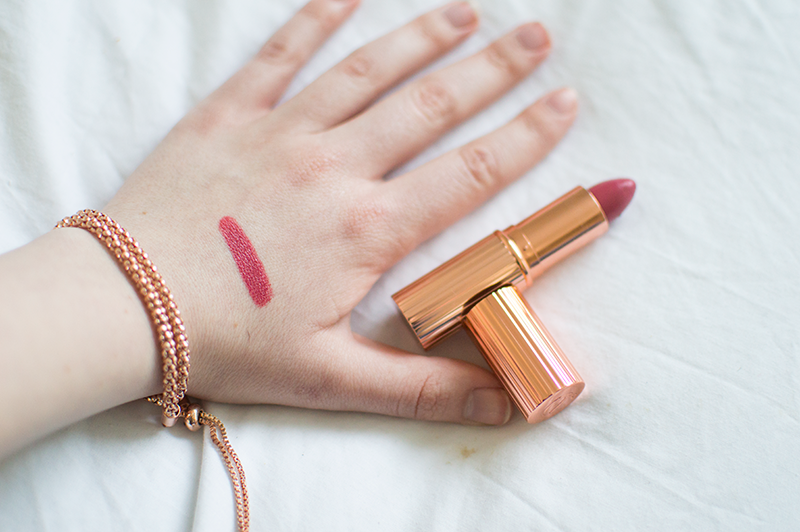 I recently popped into the Charlotte Tilbury store at Covent Garden on my last trip to London and I couldn't resist having a sneaky peek at their two new lipstick shades which were launched just in time for Valentines Day last month. I've read a lot of blog posts which favour Between the Sheets but my heart was stolen by Kiss Chase the moment I laid eyes on it and in Seans words "what's money if you don't spend it", so guess what I ended up leaving the shop with *insert monkey emoji here*. Kiss Chase is a bright, warm raspberry shade with a slight sheen once applied. The formula is enriched with Charlotte's secret 'tree extract' which leaves your lips feeling soft and nourished. The pigmentation is unreal, one quick swipe of the bullet is all it takes to get a rich, opaque colour that has longevity to rival your average lipstick (seriously, the swatch stained my hand for about a day, but despite that it will need touching up after eating). It fades nice and evenly and I've not noticed any bleeding either. 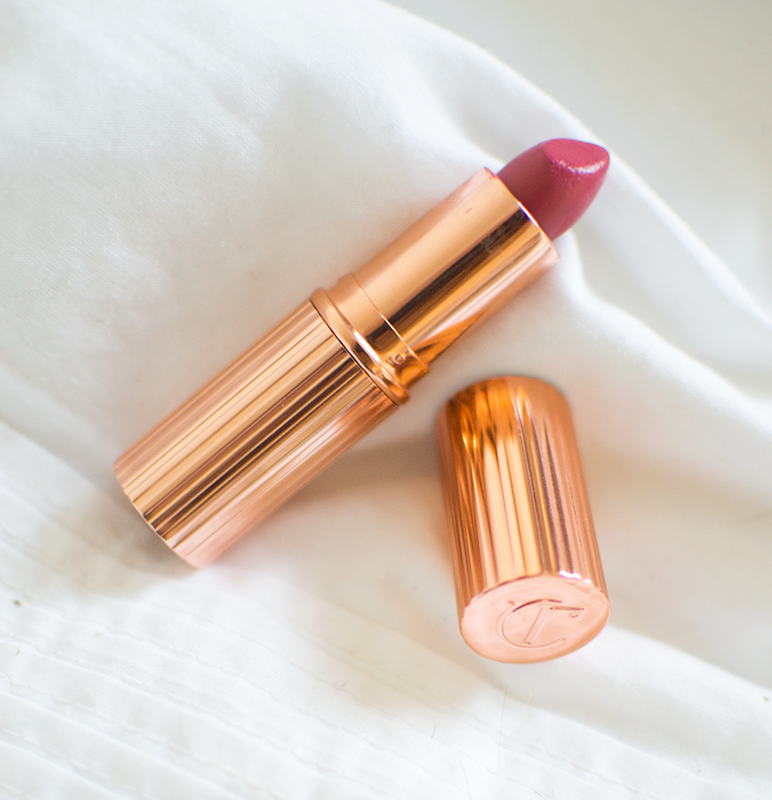 All in all, it's fast becoming my go to favourite lipstick! 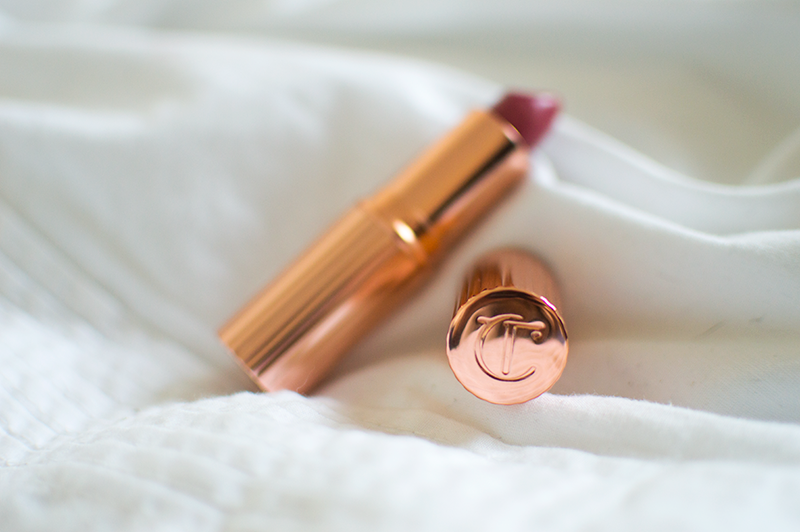 Charlotte Tilbury K.I.S.S.I.N.G Lipstick in Kiss Chase is £23 and can be brought here. Christmas and New Year Eve is the best time to get your favorite brand clothes and accessories. Perfumes apart from clothes is the things I shop for must during this time.